The All-Pro 10 year warranty covers replacement PARTS AND LABOR. All-Pro is proud to meet the high standards demanded by the manufacturer to be able to offer this exceptional warranty. Trust All-Pro to provide you with an honest, professional and refreshing affordable estimate, designed by experienced, qualified technicians. Blue Tube UV light is proven to keep the coil inside the Air Handler free of mold, maintains a clean drain pan, destroys bacteria and viruses, improves indoor air quality and saves energy. If you have an existing Air Conditioning system and would like further information on our maintenance service and the Blue Tube UV light call 561 988 0460. Imagine that the air is perfect, the perfect temperature, the perfect humidity. Let's bring this perfect outside scenario inside, where we work, where we play, where we sleep and make the inside as refreshing as the outside on a perfect day. As we spend 75-90% of our time indoors, the EPA warns that the inside air maybe up to five times more polluted than the outside air. Regular filter changes. It is better to use inexpensive filters and change them more often. A Blue-Tube UV light : Proven to be the most popular germicidal UV light in the World. Installed in your Air Conditioning system the UV light kills over 99% of airborne mold, bacteria, viruses and allergens, 24 hours after the first use. From Indoor and outdoor lighting, electrical repairs or installations to circuit breakers GFCI's and more... All-Pro are experienced, professional, licensed and insured. Stop Surges before they enter your home or business. Whole home industrial surge protection. Prevent malfunctions, premature failures, damages to your computer, home entertainment center, appliances or your air conditioning. Scheduling your Electrical and Air Conditioning needs with All-Pro really is a no brainer! Don't forget, we are Florida's #1 Electrical and Air Conditioning contractor for good reason! Our customers trust us and regularly review us with a 5* Rating. We aim to exceed customer expectations everyday. Fully Licensed and Insured Contractors! Air Conditioning Maintenance - We offer a thorough and genuine maintenance service on your Air Conditioning system. Ask us about our Energy Saving Maintenance Plans which save you money by reducing energy bills and prevent costly breakdowns, preventative maintenance extends your HVAC lifetime, it's a fact. Air Conditioning Installation or Replacement, Residential and Commercial, All-Pro boast a 10 year parts and labor warranty, on a proven high quality brand. Financing through All-Pro is available, sometimes the unexpected happens at an inconvenient time or maybe you would prefer to spread the cost. 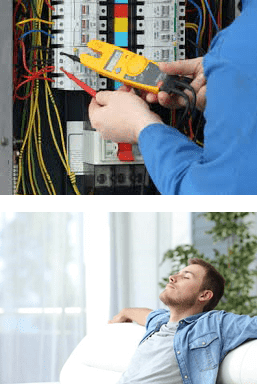 Electrical repairs and installations, from indoor and outdoor lighting, Surge Protection or Electrical Panel replacement, whatever your need our experienced trained professionals are at hand to do the job right, first time. Trust All-Pro, reliable and affordable, you can count on us to have you covered, the smart choice. Proven to kill over 99% of airborne MOLD. BACTERIA. VIRUSES. ALLERGENS After the first 24 Hours of Use - Improves the Indoor Air Quality - Cleaner Central Air -System Maintenance and Energy Savings - Chemical Free Disinfection which is safe and effective. From Attic & Ceiling fans, Electrical Wiring, GRCI outlet installation, Indoor & Outdoor Lighting, smoke detectors and more. With an All-Pro Energy Savings Maintenance Plan you can take care of your AC system and extend it's lifetime keeping you cool. As licensed contractors we will ensure that your AC is functioning at it's peak performance, preventing future breakdowns and saving you money and energy. Considering an AC replacement or Installation? Trust All-Pro to provide you with an honest, professional and refreshingly affordable estimate. We recommend a proven, high quality, reliable brand and our company boasts a 10 year parts and labor warranty. 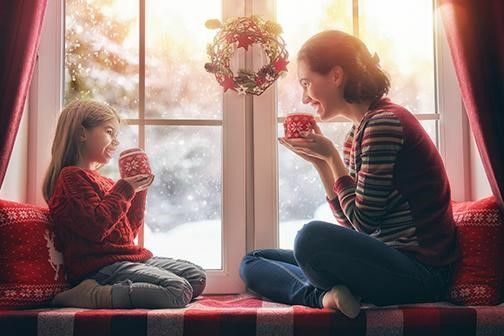 We are all busy carrying out tasks around the house, especially at this time of the year when we are ensuring that our homes are comfortable and welcoming, from inviting lighting to heating and cooling. Indoor and Outdoor lighting creates ambience in and around our homes and businesses, the smooth running of the Air Conditioning is a must for family and friends to relax and enjoy the festive season. The All-Pro Electrical and Air Conditioning team are here to assist you with any Electrical or Air Conditioning Repairs, Maintenance or Installations call 561 988 0460 or schedule an appointment online. 'When Two Great Inventions come together to provide the perfect combination' Blue Tube UV Light and the Mircro-Pure MX4 Air Purifier Keeping your Air Conditioning free from bacteria as well as the air that you breathe. Blue -Tube UV is the single most popular germicidal UV light product in the world. The EPA warns that air inside your home maybe up to five times more polluted than the outside air and can represent a significant health risk, For over a century scientists have known about the germ-killing properties of UV-C light. Blue - Tube UV improves indoor air quality by sterilizing mold, bacteria, viruses and allergens from the air as it cycles through the system. All-Pro include the Blue - Tube UV with their Deluxe and Premium Air Conditioning Installations, Blue - Tube UV is available with all installations, maintenance visits and repairs. There is a wide variety of contaminants that can enter the air of your home and start to circulate through your ventilation system and through the rooms. Mechanical air filters are effective at stopping some of the larger particles, such as dust, pollen, pet dander, and carpet and furniture lint. But there are many smaller particles that will move right through the fibers of standard air filtration systems. Often, you will need another line of defense: electronic air purifiers that use ionization to remove extremely small pollutants. Air purifiers (also known as electronic air cleaners) must have professional installation and maintenance services to make sure that they work correctly. If you are searching for the best air purifier for your home’s needs, call on All-Pro Electrical & Air Conditioning. We provide air purification systems along with our other indoor air quality services. You can entrust us with seeing that the unhealthy and bothersome pollutants in your home’s air are effectively removed. 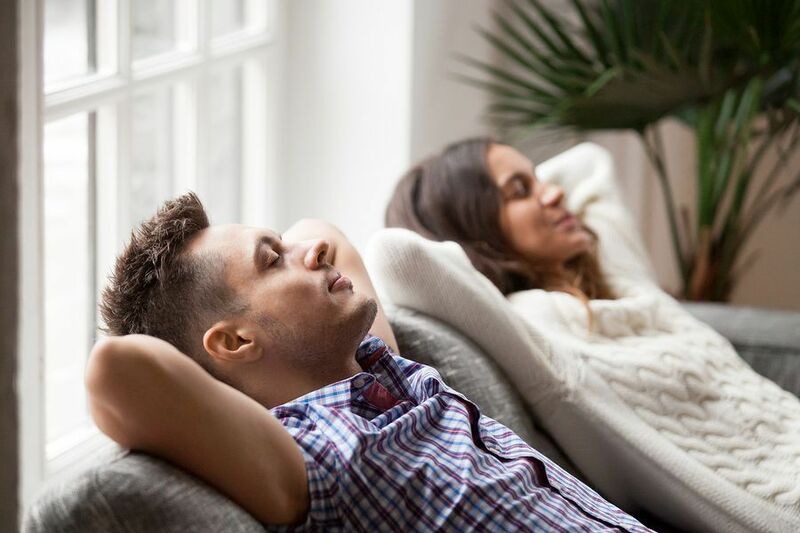 If you need air purifier services in Boca Raton, FL and the surrounding areas, call the indoor air quality experts at All-Pro Electrical & Air Conditioning today. Standard air filters trap particles in a medium of fibers. Air purifiers also trap particles, but they use electronic means. An air purifier uses a process called corona discharge to ionize the air around it so that it affects a region inside the HVAC system where the airflow must move. Ionization causes large particles in the air (the pollutants) to either gain or lose an electron, and this gives the particles either a negative or positive charge. The charged particles are then drawn down from the air by a pair of plates on the air cleaner, one with a positive charge and one with a negative, where they are trapped. Other charged particles in the air are drawn toward each other, and as they clump together they become heavier and fall out of the air flow. When Is an Electronic Air Cleaner the Best Choice? A mechanical air filter can affect more than 99% of particles 0.3 micron in size and larger. But it requires an electronic air purifiers to effectively target the smaller particles. These include smoke, chemicals, pesticides, and odor molecules. If your home is experiencing trouble from odors and chemicals and your filters aren’t helping, then you should consider installation of an electronic air purifier. But please make sure that you have professional assistance before making any choice. Indoor air quality professionals will discover what contaminants are in your air and then help you decide on the air purifiers, air filters, or combination of the two that will reward you with the healthy air your family deserves. Our indoor air quality experts provide a number of different installations to help boost indoor air quality for homes including putting in electronic air cleaners. If you are concerned about your home’s air, contact us and let us find out if you will benefit from an air purification system. The team at All-Pro Electrical & Air Conditioning also provides the services necessary to keep air purifiers running at peak performance. Point of use surge protectors do provide some level of protection but they simply cannot contend with the level of coverage that a whole–house surge protection system has to offer. Whole–house surge protectors have the upper hand not only in terms of the ground that they cover, but in their ability to deal with powerful surges as well. Whole–house surge protectors spring into action as soon as excess voltage tries to make its way into your electrical system. These surge protection devices are installed right at the electrical panel, leaving them well–placed in order for swift operation. While power strips may stop power surges from frying the electronics plugged into them, a whole–house surge protector protects your electrical system itself by ensuring that this power surge never makes it to the outlets in your home to begin with. Not only can whole–house surge protection better protect your electrical system from major power surges, such as those caused by lightning strikes or problems at the power plant, but it can also protect your entire house from more minor surges as well. When larger appliances are turned on in the home, a minor power surge can result. A whole–house surge protection system can prevent even these minor surges, which can lead to cumulative damage over time, from making its way throughout your circuits. When you consider too the fact that power surges can make their way into your home via cable or telephone lines as well, it becomes clear that more comprehensive coverage is a goal worth pursuing. You need to know that any work involving your electrical system is completed professional and with the utmost care. That is why you should schedule your whole–house surge protection services with a member of our staff. We will evaluate your existing system and your electrical panel, and we will make sure that your home is outfitted with a whole–house surge protector that meets its needs entirely. If you are ready to get serious about the way in which you protect your electrical system, your home, and your belongings from power surges, then give a member of the All-Pro Electrical & Air Conditioning staff a call today to schedule service. Chances are that you have your computer and many other electronics in your home plugged into a power strip that doubles as a surge protector. What about the rest of the appliances that you depend upon so much, though? What of your washing machine, central AC system, and water heater? We are willing to bet that you don’t have a surge protector plugged into every outlet throughout your home. With whole-house surge protection though, you won’t have to worry about unprotected electrical outlets in your home. Whole-house surge protection provides truly comprehensive coverage in terms of protecting your electrical systems and devices from the damages that power surges can lead to. Contact All-Pro Electrical & Air Conditioning for more details. All-Pro Electrical & Air Conditioning provides whole-house surge protection services in Boca Raton, FL and the surrounding areas. Chances are that you have your computer and many other electronics in your home plugged into a power strip that doubles as a surge protector. What about the rest of the appliances that you depend upon so much, though? What of your washing machine, central AC system, and water heater? We are willing to bet that you don’t have a surge protector plugged into every outlet throughout your home. With this being the hottest time of the year and hurricane season it's even more important to have your Air Conditioning and Electrical Services checked and maintained. Scheduling your preventative maintenance will allow us to ensure that your Air Conditioning is functioning at it's peak performance, Saving you money and energy by preventing future issues. Take care of your Air Conditioning and you will extend it's lifetime keeping you cool. Allergies can turn your day into a nightmare of congestion, sniffling and coughing. Typical indoor allergens include mold spores, dust mites, cockroaches, pet dander, pollen from outside and house dust. 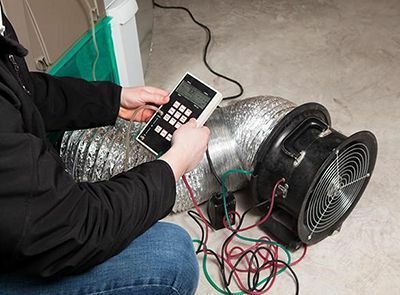 Here are 4 ways your HVAC system could be making things worse and how to deal with it. Typical pleated filters don't catch tiny allergen particles. You'll need HEPA (High Efficiency Particulate Air) filters capable of stopping 99.97% of particles 0.3 microns or larger. To put it into perspective, dog dander is about 2.5 microns and mold spores range from 10 to 30 microns. Keep in mind that HEPA filters affect airflow and the performance of your furnace so you need to discuss this with an HVAC professional before making the change. Filters must be changed every four months typically but if you're fighting allergies, you need to replace them more frequently. Allergens that build up on the filter can be blown through the ductwork and the longer you leave it, the worse your symptoms will get. High humidity can create the perfect conditions for allergens like mold and dust mites to inhabit your home. Low humidity levels can exacerbate your symptoms by drying out your nasal passage and throat. If you have a humidifier, have it checked and serviced to ensure that it maintains the right humidity levels in your home. The ideal range is 40-50% in the summer or 30% in the winter. If you have no humidity control at all, you may want to consider adding a humidifier to your home's HVAC system. Certain allergens like dust mites thrive in warm temperatures and poor thermal distribution can create the ideal environment for them to thrive. Ensure that your HVAC air distribution and controls are in working order to maintain the right temperature in your home. If you have no air conditioning, you lose the benefits of both humidity and temperature control in the summer, which can make you miserable with allergy symptoms. Ventilation brings in outdoor air to reduce the level of indoor allergens in your home. It helps reduce humidity in key areas like bathrooms and the kitchen and discourages allergens from multiplying. If you have an allergy to pollen or other outdoor allergens, ventilation is still a must. Just ensure that you have the right air filter and this will mitigate the effects of outdoor allergens entering your home. 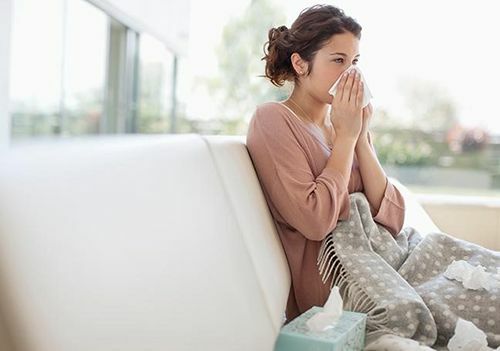 If you're concerned about your allergies and need to optimize your HVAC system, give us a call and we can help you assess and make modifications so you can breathe easy. Nothing is more frustrating than having your air conditioner coil freeze up just as the temperature outside is climbing. Coils freeze when the temperature in your evaporator coil drops too low. Moisture in the air freezes on contact, building up ice on the coil. This buildup blocks airflow and can cause your unit to fail completely. A faulty thermostat can overwork your air conditioner, reducing the temperature in the coil to the point of freezing it. The unit's internal controls can also cause problems so have the entire control system checked. Clean and replace filters at least four times per year to maintain airflow across the coil. If you have pets or live in a dusty area, you'll have to change them more often. Keep your evaporator coil clean to allow sufficient heat transfer from the air to the refrigerant flowing through the coil. This keeps the unit operating at a higher efficiency, lowering the risk for frozen coils as well as reducing your utility bills. If you have a frozen coil and manage to melt the ice, the problem will remain unless you address the root cause. If your unit is properly maintained, the chance of it happening drops considerably. If you need help with a frozen coil or want to ensure it doesn't happen to you, give us a call. T here was a time when the air outside was more polluted than indoor air. Nowadays, pollutants can be two to five times more concentrated indoors than outdoors. To compound this problem, most people spend up to 90% of their time inside. You can clean the air throughout your house or you can deal with it room by room. Whole house air cleaners are placed in the return duct to your furnace. The air first passes through the purifier's filters to remove allergens and pollutants before entering the furnace. Then it gets distributed throughout your home via ductwork. Alternatively, you can opt for a purifier that takes care of only one room. These units clean more air in that space but the obvious disadvantage is that the rest of the house won't benefit. To increase the amount of outdoor air in your home, exhaust fans and ventilators can give you measured flow rates so you know you're getting the right amount of air. Whether or not you decide to go with an air purifier, you will still need proper ventilation to replace stale air with fresh air so this is fundamental to all homes. If you need help cleaning out your home's air, give us a call and we can talk about the best options and how to implement them. Ductwork is a vital part of your home's heating and cooling. Unfortunately, because it's mostly hidden, we tend to forget about it. But ductwork problems can cause high energy bills and issues with heating and cooling. If your ducts aren't properly airtight, you'll lose air to the surrounding spaces. That means energy loss, since you'll have to turn up your furnace to get a comfortable temperature. You'll also have uncomfortable rooms where there's not enough air to heat (or cool) them. Finding leaks can be tricky since most of the ductwork is hidden. You can take care of exposed ductwork in the mechanical room, for example. Use a duct sealant like mastic or Underwriter's Laboratories (UL) certified aluminum tape to seal the leak. Air flow distribution depends on ductwork sizing. Even with dampers, ducts must be correctly sized for the amount of air needed to condition a space. Get this wrong and you'll have to deal with discomfort during both seasons. Some of your ductwork might be routed through unheated spaces, like the attic. Ideally, you want to avoid this situation but it's not always possible. Losses through these spaces can cost you hundreds on your energy bill annually. For the optimum ductwork that keeps your home's temperature just right, give us a call and we can help you deal with any issues you may have. Air Conditioning systems are not “plug and play” like a refrigerator or an oven. All-Pro Electrical and Air Conditioning will not install a unit that we did not purchase directly from the manufacturer and neither will most reputable contractors. But why not just charge you to install the unit you purchased yourself and be happy that we didn’t have to deal with the hassle of loading and unloading this very heavy piece of equipment? Well, let’s say you’re able to find a licensed contractor willing to install the unit you purchased online. The contractor gives you a quote for the installation, they clear their schedule, and the crew arrives at the specified time with all the additional material needed to install the unit, so far so good, right? What if the unit is damaged in transit? The crew unpacks the unit only to find out it’s been damaged in shipping. Now you have to contact the retailer and deal with returning the unit yourself. 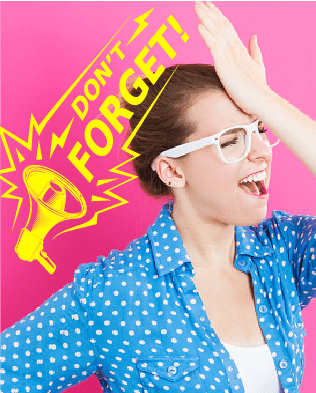 You’ll likely have to pay the contractor the full agreed-upon price for that visit and then you’ll have to pay again to get the replacement unit installed! Many online retailers won’t honor their warranties. Maybe everything went well with the installation and your system is running great for a while. 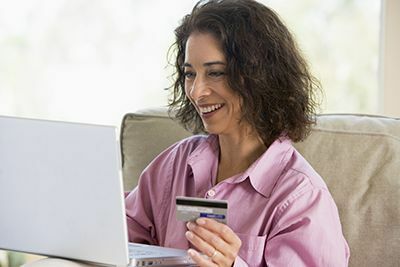 The intricacy of the installation process gives online retailers the ability to shift the blame to issues related to the installation of the system rather than a defect in the unit itself. This means that, when a problem does arise, they can easily get out of any promise they made and leave you holding the bag! What if a problem arises years after the installation? Service companies, especially ones that aren’t particularly reputable, have a very high rate of failure (second only to restaurants) so it’s entirely possible the company you used is no longer in business when your unit fails. Had you purchased the unit from a licensed contractor in your area, the manufacturer would be obligated to honor their warranty through another authorized dealer. Most manufacturer do not warranty equipment purchased online “unless installed by a licensed contractor”. This means you are covered, right? Well, not really. Sometimes it’shard to determine whether a problem was caused by a mistake in the installation, improper sizing of the unit, airflow issues or the equipment itself, so the manufacturer can easily get out of honoring their warranty too. If you hire a licensed contractor and authorized brand dealer, like All-Pro Electrical and Air Conditioning and Heating, to supply and install a unit and a problem arises, it does not matter whether the issue was caused by the installation or the equipment because, either way – you’re not left holding the bag! What if I buy from a company that offers installation for the unit I purchased online? Companies that provide installation for online purchases used to show the list of the subcontractors that they sold the leads to. This practice quickly fell out of favor because buyers realized that they weren’t using the cream of the crop. They use start-ups and other struggling contractors who need these leads to survive. Hopefully, we’ve given you enough reasons to think twice before purchasing something as complex as an Air Conditioning system from anyone other than a licensed contractor and authorized brand dealer in your area. For more information - click here to visit our friends over at Magic Touch Mechanical and read their blog on buying AC online. And when you are ready to purchase a new AC system and have it professionally installed, we hope you'll give us a call at (561) 988-0460. The festivities that take place can either bring you out of your funk, or stress you out even more. It's easy to get caught up in the daily grind throughout the year. Use this holiday to reflect on all the people that matter most your life, and use this holiday season to express how much your care. Visiting extended family allows you to maintain connections that otherwise get neglected. Pile everyone in for a road trip, take a flight across the continent or simply visit your relatives in town to keep relationships alive. In regards to gifts during the holidays remember, it's the thought that counts. You don't have to break the bank to give special gifts this year. You can go as simple as a handwritten card and a tin of butter cookies or as elaborate as you want. You can have a quiet dinner with close relatives and friends or a huge party with your extended family. Coming together to share a meal is the standard Holiday tradition for a reason. And remember to have a designated driver if you'll be drinking (even moderately) or if you think the turkey will put you to sleep on the drive home. Christmas and the holidays in general don't have to be crammed full of activities and tasks that stress you out. Sometimes the best plans are the simplest. Take a moment to share how your family and friends have made an impact on you. Spread some holiday cheer of your own by telling those you care about just how great they've been all year. On a more practical note, the end of the year is a great time to take stock of where you are and where you want to go. Before you make those New Year's Resolutions, make sure you know what you really want to accomplish and what resources you have available. If it's been one of those challenging years, focus on the fact that you made it through the rough times. We thank you for allowing us to service you and your home, and hope that your holiday is filled with joy. The ideal temperature setting is something we rarely think about when fiddling with the thermostat in summer. Though the perfect temperature may seem purely based on opinion, there are some factors we must all consider before setting the dial. According to the American Society of Heating, Refrigeration and Air Conditioning Engineers (ASHRAE), the ideal indoor temperature for comfort is between 75°F (24°C) and 80.5°F (27°C) in the summer. This temperature range is based on factors like clothing, humidity levels, individual metabolic rate and airflow speed. Your personal comfort levels may deviate from this range, based on your body's metabolism, but not by very much. We must consider our health when setting our home temperature. The ideal body temperature is 98.6°F (37°C) so try to maintain that when possible. When you set your thermostat, the humidity of your home is also affected. Air conditioning lowers humidity, which can then dry out mucus membranes. This leaves you susceptible to colds other respiratory issues. Temperature also affects sleep quality, which impacts your immune system and overall health. For most people, a temperature range of 65°F to 72°F (18°C to 22°C) works best. In the summer, this might mean running your air conditioner on hot nights. As with daytime temperatures, ideal sleep temperatures will vary depending on your body and how bundled up you are. You can save energy on cooling by finding other ways to cool down in summer. Keeping your thermostat set to slightly higher temperatures will cut your energy bills by 6-8% per degree. You can use a fan with your air conditioner set to a higher temperature to keep cool while consuming less electricity. Depending on how your equipment is sized, setting the temperature wrong may cause it to cycle on and off or cause it to run excessively. This has the undesired effect of reducing your equipment life cycle as it works harder and experiences more wear and tear. Make sure that whatever your preferred indoor temperature, your air conditioner is correctly sized so it doesn't experience too much run time or too much cycling. Have a professional review your system to make sure it's the right size for your home. Keep your cooling equipment ready to go Give us a call for any maintenance issues or simply to review your air conditioning so you're never stuck without cooling. AC FAQ: What Is an Evaporator Coil?